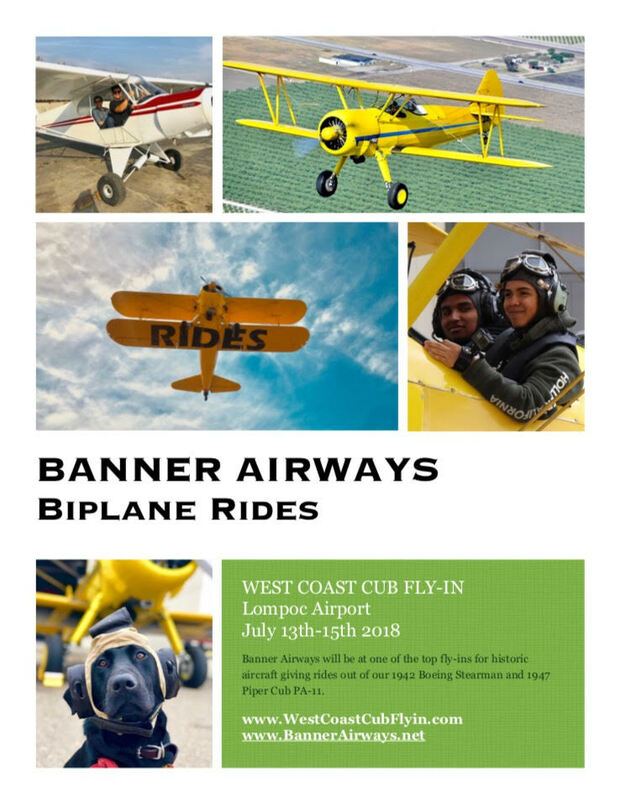 The West Coast Cub Fly-in is excited to announce that Banner Airways will be at this year’s fly-in event giving rides out of their 1942 Boeing Stearman and their 1947 Piper Cub PA-11! Don’t miss this fun event at the Lompoc Airport (located at 1801 North H Street in Lompoc, CA) happening in July on the 13th, 14th and 15th, 2018. A great event for families, photographers and aviation enthusiasts. All spectators are welcome and admitted to the event free of charge. 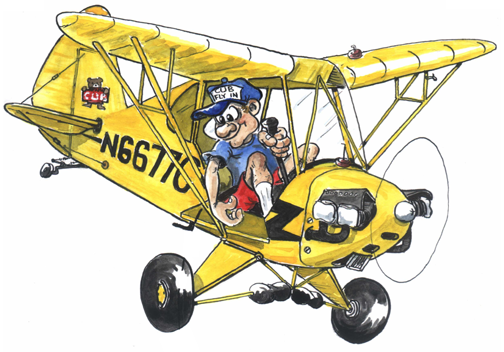 Visit WestCoastCubFlyin.com for more details!